If you need to retrieve the list of the tables created by the users in SQL Server, you can do that easily by querying the sys.objects table. 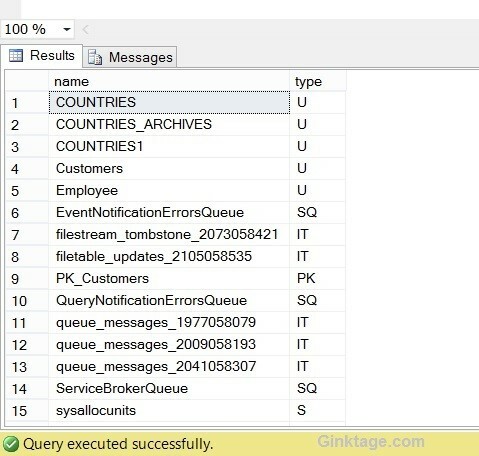 For example, the below query would display the list of tables and the type from the SQL Server. The rows with the type “U” are the tables created by the users. Simply filtering the records with the type = “U” would display the tables created by the user.